The Council Foundation’s scholarship program is drawing in and training the next generation of stellar insurance professionals. 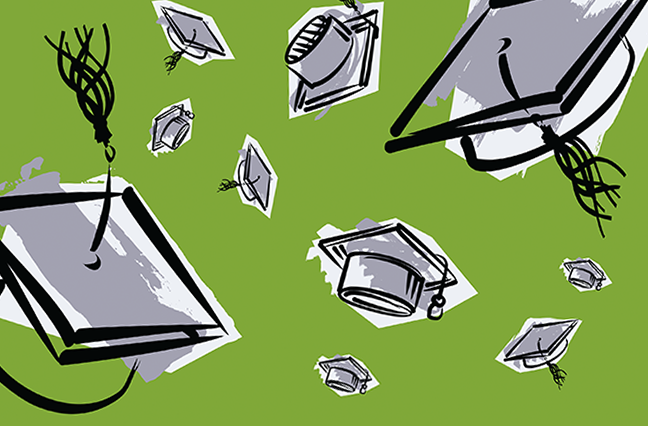 In an effort to build our industry’s future, The Council Foundation’s scholarship program has again awarded $375,000 in academic scholarships to 75 college juniors and seniors interested in pursuing a career in insurance brokerage. Each receives a $5,000 grant. This year’s class of scholarship recipients includes 56 seniors and 19 juniors. Of the winners, 34 are female and 41 are male. Frequent majors include business administration, communications, computer science, economics, finance, government, healthcare administration, risk management and insurance, sales, and business marketing. The Foundation’s Scholarship Program partners with the internship programs of member firms of The Council of Insurance Agents & Brokers. The program exposes college students from across the country to the commercial insurance brokerage sector with the ultimate goal of keeping them in the business after graduation. Of the 125 students who received scholarships over the past two years, nearly 53% have been hired or repeated an internship with a Council member firm. “Recruiting the next generation of industry leaders is perhaps the biggest hurdle our industry faces, and being able to make a difference in the career trajectory of these students—particularly within the walls of our member firms—is both exciting and rewarding,” says Ken Crerar, president and CEO of The Council. Students must be formally nominated by the respective brokerages at which they interned, which also must be participants in the scholarship program. Awardees are then determined by an independent committee. For more information on how to participate in the 2019 scholarship program and nominate interns next summer, please contact Jess Hilb, foundation associate for The Council.